The 23rd MLS season kicks off this weekend with 23 teams and of the 12 members of the Western sector, six are embarking with head coaches who were not in charge at the start of 2017. That’s a bit of a trick number, since Los Angeles Football Club is the expansion entrant for 2018 under Bob Bradley. There are coaches new to the league in San Jose and Colorado, the league’s all-time leader in coaching victories back in charge of the Galaxy, a former player for the MetroStars and Revolution in the Northwest, and the first full season of a new era in Salt Lake City. The Western dozen is the largest conference in league history, and the scheduling has presented each team with 23 intraconference games – two apiece against each foe plus one extra match – and 11 (one per team) with teams in the Eastern Conference. The teams cover a vast area: all the way to the West Coast, north to Canada, and as far east as Minnesota. So we’ll tour them geographically. We start in Southern California, where a feisty new model has managed to land a few dings and scrapes on a once-luxurious town car that needs a paint job and an overhaul. It was 20 years ago this month. The league is much different than it was in 1998 when Bradley led the expansion Chicago Fire to a MLS Cup and U.S. Open Cup double. But he and general manager John Thorrington have assembled a squad that should at least be competitive and could be very good by season’s end. Los Angeles Football Club has yet to kick a ball yet already the battle is on. It announced Wednesday that a full allotment of 17,500 season-tickets has been sold for the inaugural season at the brand-new Banc of California Stadium, which the club will officially christen April 29 against Seattle. 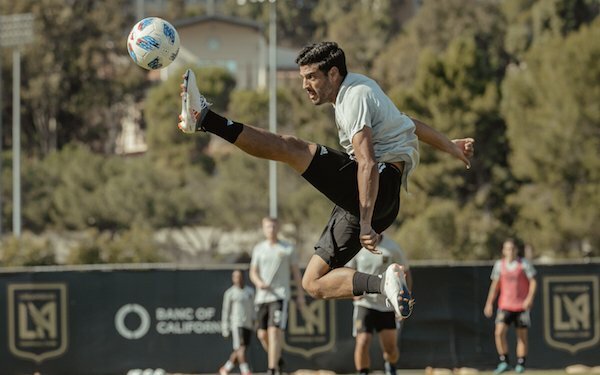 As the fresh new face in a massive media market, LAFC can count on a flurry of initial interest and should regularly fill up its 22,000-capacity facility unless the performances are truly dire, which is not likely given the experience of Bradley and a solid core that includes Mexican international Carlos Vela and league veterans Benny Feilhaber, Walker Zimmerman, and Laurent Ciman. LAFC is also riding the trend of MLS teams grabbing exciting young South Americans. The team announced this week it has negotiated a loan deal with Independiente Medellin for Colombian Eduard Atuesta; he is 20, and precocious Uruguayan forward Diego Rossicelebrates that birthday on Monday. If they adapt to life in America, the new team in the Western Conference will also be one of most attractive. Grim look for the Galaxy. The second team in L.A. arrives with the five-time champion Galaxy scrambling to rebound from a last-place finish and a reported 20 percent drop in season-ticket sales. Back for his second go-round at the helm is Sigi Schmid, who rode out the string of a terrible 2017 after taking over from Curt Onalfo in August and held his cards until the offseason. Schmid gutted the Galaxy right up the spine. New on the scene are goalkeeper David Bingham; centerbacks Jorgen Skjelvik, Michael Ciani, Tomas Hilliard-Arce; midfielders Servando Carrasco and Perry Kitchen, and striker Ola Kamara. They bring a completely different look to a once-elite team that has stumbled since stalwarts such Landon Donovan, Robbie Keane and Omar Gonzalez moved on. The new faces will need time to jell and Schmid must also account for the probable World Cup absences of Jonathan dos Santos and Giovani dos Santos. Yet a spectacular debut season for Romain Alessandrini bodes well for 2018, as does the projected return to health of Sebastian Lletget, who hasn’t played since suffering a freakish foot injury playing for the USA nearly a year ago. Both L.A. teams expect to be in the playoff hunt and the whole league will be watching their first official clash March 29 at StubHub Center. Questions for the Quakes. The lone MLS team in Northern California -- at least until Sacramento Republic gets an infusion of cash -- has gone with Mikael Stahre as head coach at the behest of general manager Jesse Fioranelli, who dismissed longtime servant Dominic Kinnear during the summer and after the season restored technical-director duties to short-term replacement Chris Leitch. Stahre, 42, is the fourth coaching change in San Jose since 2014. Coaching experience in his native Sweden includes one league title and two Swedish Cups, and one of his additions is central midfielder Magnus Eriksson, signed to a Designated Player contract. Eriksson helped Malmo win a pair of Allsvenskan titles and showed during preseason he can provide chances for fellow DPs Vako and Chris Wondolowski, who is just 11 goals shy of Donovan’s all-time league record of 145. The Quakes barely squeezed into the playoffs as the sixth-place team and were pummeled by Vancouver, 5-0, in the Knockout Round. This year they should be better at both ends: after registering a minus-21 goal difference, they would almost have to be. Cascadia conundrums. Continuing the trek north the first stop is Portland, which is guided by one of the most respected men in the American game, Long Island University product and former Venezuelan international Giovanni Savarese. Three NASL titles for the Cosmos along with several years’ experience in the league as a player has tamped fan disappointment at the abrupt departure of Caleb Porter, who led the Timbers to a pair of regular-season conference titles as well as their only MLS Cup crown (in 2015). Diego Valeri (21 goals, 11 assists) deservedly won the MVP award last year and Savarese has added a upgrades to the attack in forward Samuel Armenteros and attacker Andy Polo. In a wide-open conference race, the Timbers’ fate may rest on his defense, where centerback Liam Ridgewell and goalkeeper Jeff Attinella need to be consistently reliable. Seattle suffered a huge setback in preseason when forward Jordan Morris suffered a season-ending ACL injury. Yet the Sounders have reached two straight MLS Cup finals and last year invoked a few roster changes as they returned to the title game at BMO Field. It seldom misses on a high-profile signing. Norwegian Magnus Eikrem joins the midfield mix and South Korea central defender Kim Kee-hee has been signed using TAM. 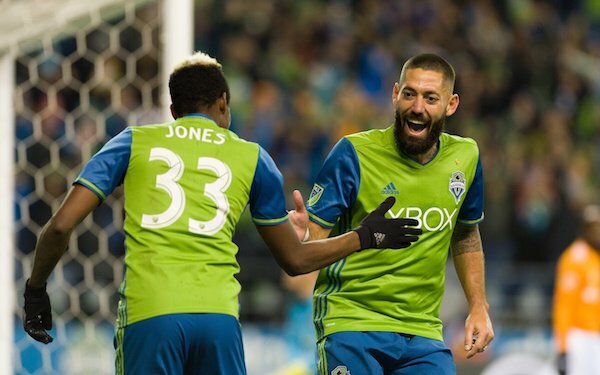 Seattle also has a DP slot available and the loss of Morris probably means it needs an attacker to complement playmaker Nicolas Lodeiro, forward Will Bruin, and veteran Clint Dempsey, who turns 35 this week. Vancouver fans have already started grumbling about low-key moves made by the front office, which means it’s business as usual at B.C. Place. But the arrivals of internationals Efrain Juarez (Mexico) and Anthony Blondell (Venezuela) plus MLS veteran Kei Kamara up front and the projected growth of Alphonso Davies and Yordy Reyna should all be positives. The brash insistence of defender Tim Parker to be traded might be a sign of squad discontent with head coach Paul Robinson, or a simpler case of an undervalued player wanting out. If the ‘Caps can start out with wins and without him in the lineup the forecast will brighten. Cascadia Cup teams filled the top three spots covered by just one point last year and while a repeat of that accomplishment is unlikely, they registered a combined record of 31-6-14 (W-L-T) at home. In a playoff race expected to be tight, points will not come easy in the Northwest. In one sense, he’s right, and a pair of games against the league powerhouse played in frigid temperatures can’t be the baseline for a rough eight-month season with a revamped roster. His additions include three members of the Kiwi back line, U.S. international winger Edgar Castillo, and midfielders Johan Blomberg and Jack Price. New Zealand international Tommy Smith will anchor the middle in front of veteran keeper Tim Howard. This experiment is the brainchild of general manager Padraig Smith, who will be the one to answer if this eclectic mix does not work in MLS under a rookie head coach. The mood is much lighter at Real Salt Lake, which recovered last year from a rough spell following the replacement of head coach Jeff Cassar by Mike Petke and played some crisp, efficient soccer to barely miss the playoffs. Veterans Nick Rimando and Kyle Beckerman have signed on for another season. RSL features some of the league’s top young players in Brooks Lennon, Jefferson Savarino, Justen Glad, and Albert Rusnak. Petke has brought in two more young players: English League veteran fullback Adam Henley (23) and Pablo Ruiz (19). Petke has infused the team with enthusiasm not often seen since the team’s glory period (2009-13) during which it played in two MLS Cup finals and reached the final of the Concacaf Champions League. There are signs the good times may be coming back. Stuck in a rut. From the mountain country we cross the plains to the westernmost edge of Missouri, where the team that beat RSL with a marathon penalty-kick tiebreaker in the 2013 championship game has yet to figure out a way back. Four straight losses in the Knockout Round – all on the road -- has left Sporting Kansas City squarely in the category of playoff participant rather than title contender. Veteran leaders Matt Besler, Roger Espinoza and Graham Zusi are joined by newcomers Felipe Gutierrez, Yohan Croizet and Johnny Russell in a quest by head coach Peter Vermes to get SKC out of its current rut. The defense should again be solid with Besler and Defender of the Year Ike Opara fronting Goalkeeper of the Year Tim Melia. The newcomers, prompted by Gutierrez, should pump up an attack for which no player netted more than eight goals in 2017. Texas turnarounds. Heading south to Texas we find two teams who took different paths in 2017 than they had in years past. Perhaps because of FC Dallas’ dramatic collapse, not enough notice was taken of Houston’s fourth-place finish. Presented this month with an opportunity to rebuild confidence in the Concacaf Champions League round of 16, FCD instead went out of the competition Wednesday despite beating Tauro FC of Panama, 3-2, in the second leg. FCD scored two late goals to even the aggregate at 3-3 but Tauro had already seized control of the series by netting those two away goals, both in the first half. Centerback Reto Ziegler was the only FCD starter who wasn’t with the team last year, though midfielder Santiago Mosquera replaced Victor Ulloa late in the first half and assisted on Cristian Colman’s stoppage-time goal. A bad mistake by keeper Jesse Gonzalez had presented Tauro with its only goal of the first leg, and in these two matches FCD fell short of a very manageable accomplishment. FCD won’t have midfielder Kellyn Acosta for the start of the season. He will be out six to eight weeks following sports hernia surgery last week. Like several of the team’s mainstays, he struggled last year as FCD compiled just 46 points – it had hit 60 in 2015 and 2016 – and lost a playoff spot to San Jose on the first tiebreaker, most victories. Right now, the forecast for 2018 is very murky. Not so for Houston, which rolled past SKC and Portland in the playoffs while conceding just one goal before running into a Seattle buzzsaw (5-0 aggregate) in the conference finals. 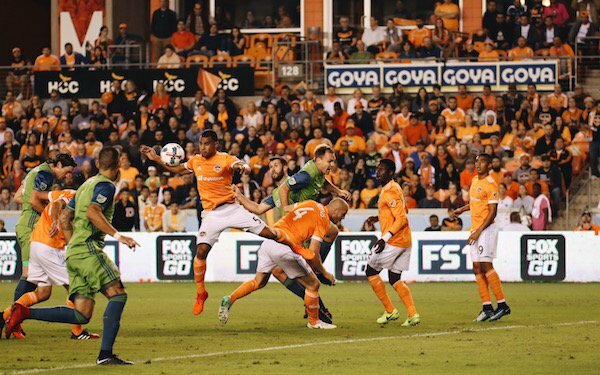 The Dynamo lost just once at home and managed only one victory on the road; with a defense bolstered by young Venezuelan Alejandro Fuenmayor, it may preserve the home dominance while getting better results elsewhere. Veteran midfielder Ricardo Clark and striker Erick ‘Cubo’ Torres have departed. The attack is still potent with the front three of Alberth Elis, Mauro Manotas and Romell Quioto supported by midfielders Juan David Cabezas and Tomas Martinez. Depth and experience have been upgraded by the acquisitions by two former Quakes: holding mid Darwin Ceren and native son Arturo Alvarez. With so many conference rivals in various states of flux, a team with an identity as clear as that forged by head coach Wilmer Cabrera and his players could be formidable. However the element of surprise is gone. Northern closure. The Loons started their inaugural MLS season as a laughingstock and ended it respectable. But heading into 2018 they don’t appear all that capable of a playoff charge. Post-concussion problems have sidelined Sam Cronin at least for the opener at San Jose; he was one of few reliables last season and missing him for an extended period of time could severely jar Minnesota’s start. On the wings, Ethan Finlay and Sam Nicholson are capable enough, and with Kevin Molino in the middle feeding balls to Christian Ramirez or Abu Danladi, who blazed through the second half of the season once he got healthy, MNUFC can get goals against most league rivals. There doesn’t seem to be much depth to back up this quartet, however. The back line and goalkeeper Matt Lampson are serviceable but need to step up their game. Perhaps a second season together will tighten up the gaps and make up for Cronin’s range and savvy if he’s sidelined for a considerable length of time. In MLS, resiliency goes a long way and this is one department in which MNUFC needs significant improvement. 1 comment about "MLS 2018: Western Conference preview". George Varsa, March 1, 2018 at 9:49 p.m.